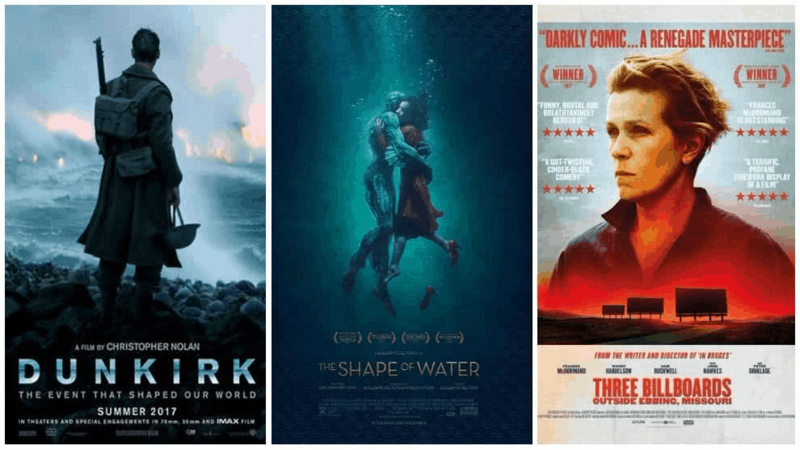 With the Oscars right around the corner, and winter still firmly keeping us all indoors, there has never been a perfect time to catch up on movies you have always meant to watch, and see some of the great movies coming this year. Awards season is always a perfect time to see what amazing films have been released or are coming soon. It seems every year film makers are going further and producing even greater quality of entertainment. Yet there are some absolute classics out there that every movie buff needs to have seen. Here are a few of the greats to add to your list. With an outstanding performance of Vivien Leigh as Scarlett O’Hara, this film is an outstanding example of old Hollywood epic storytelling with many emotional highs and lows. Of course many elements have not stood the test of time, for example the film completely avoids addressing the horror and reality of slavery. If you do decide to give it a try, for posterity’s sake – you’ll need a good 5 hours. Great for a lazy Sunday. For a far less romanticised balance of 19th century life in America, 12 Years a Slave is an extremely powerful piece, that in many places is incredibly difficult to watch. It changes many preconceptions of slavery, scripted from the memoirs of Solomon Northup. While it may be hard hitting, the insight it gives into human behaviour set to a backdrop of some quite stunning scenery will leave you with a new way of thinking. For a completely different experience, the final film in the adapted J.R.R. Tolkien trilogy is well worth a watch, and the first two epics equally so. The technology and effects used in the trilogy were state of the art at the time and along with the great narrative keep the long films exciting throughout. The king of all gangster films, Francis Ford Coppola’s The Godfather takes this genre to new heights. It is rich in detail and characters and takes the whole concept of a gangster film to new depths covering business and family as well as violence and the mob. The great thing is that you can then follow it up with The Godfather Part II, which also won an Oscar two years later in 1974. Director Kathryn Bigelow, remains to this day the only female director to have won best director for this film. And it is well deserved. It takes the subject of war and gives it an immediacy not often seen in war films. Who doesn’t love a star-crossed lovers story, and Titanic has this in spades with the leads, Leonardo DiCaprio and Kate Winslet delivering a love affair that really captivates the audience. Director James Cameron pulled out all the stops for this epic disaster movie, and while at times it can seem a bit of a people pleaser, it still works well. This film has topped ‘must-see’ lists for over 75 years, and is genuinely unforgettable and at times a magical piece of cinema. Humphrey Bogart and Ingrid Bergman are iconic in their roles and it has been called ‘the best film of all time’ by some. Filmed and set in World War II it is a tale of an American expatriate who must choose between his love for a woman, and helping that woman and her husband escape to continue his fight against the Nazis. This epic historical period drama, directed by Steven Spielberg, is another of those movies which is incredibly hard to watch. Telling the story of real person Oskar Schindler, a businessman who helped to save the lives of more than 1,000 Jewish refugees, it shows aspects of human nature which are incredibly cruel and monstrous and the despair of people who are persecuted, alongside acts of kindness and hope. That is was shot almost entirely in black and white, which occasional flashes of colour adds to the whole feel of the film. No list would be complete without a mention of Forrest Gump. Starring Tom Hanks as the lead character of the same name, it is truly a feel good film of a kind-hearted man who unwittingly witnesses some of the major events of the later 20th Century. Equal in comedic moments and tearjerker scenes, with a highly nostalgic soundtrack this film stays in the hearts of those who watch it. Although the full list of nominees has not yet been released, critics are predicting several films expecting to do well this year across various categories. It is easy to see if you agree with the help of VoirFilms, it is well worth checking out some of the favourites and see if you agree. Highly recommended of course is the remake of A Star is Born, with Bradley Cooper and Lady Gaga. A tale of fame, love and addiction, couple with an amazing soundtrack this did extremely well at the box office. If you are feeling particularly dedicated it is also well worth checking out the previous versions from 1937 and 1976 and seeing how they compare. All great movies in their own right. And of course another film with outstanding music is Bohemian Rhapsody – a film based on the story of Freddie Mercury and Queen, it is a look into an amazing piece of pop culture centred around these iconic giants of music known the world over. If action and adventure is your thing, then the biggest contribution to the Marvel Universe is a must see. Black Panther smashed all kinds of box office records and if you haven’t heard of it then you must have been living under a rock last year. Other hot tips include The Favourite, Green Book and Roma – why not check them out and make your own predictions.